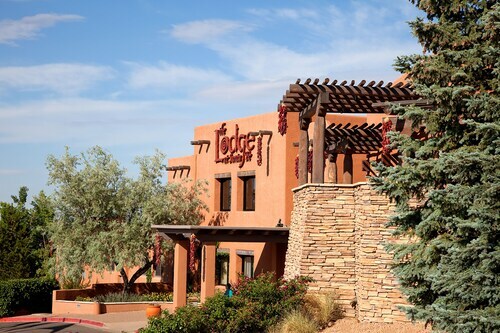 Located 15 minutes outside of Santa Fe, this hotel puts guests near the area's Native American cultural attractions, including the Poeh Museum's Pueblo culture exhibits, a 5-minute drive, and the Plaza in Santa Fe, 15 minutes away. Don Quixote Distillery and Winery is 5 minutes away by car. Santa Fe Airport is 22.8 miles away. 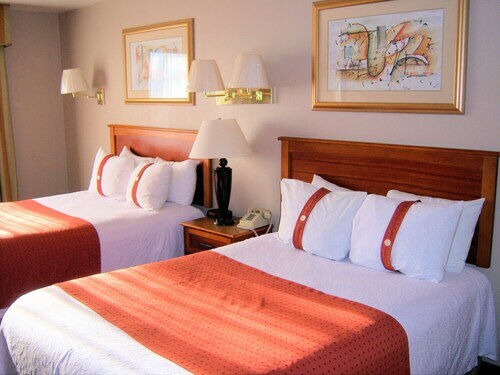 This inn is located at the entrance to Santa Fe's historic downtown area, only 6 blocks from the Historic Santa Fe Plaza, and 9 miles from Santa Fe's County airport. 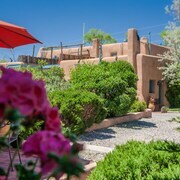 Located in Downtown Santa Fe, this spa hotel is steps from Palace of the Governors, Santa Fe Plaza, and Loretto Chapel. New Mexico Museum of Art and Institute of American Indian Arts Museum are also within 5 minutes. Santa Fe Depot is 13 minutes by foot. 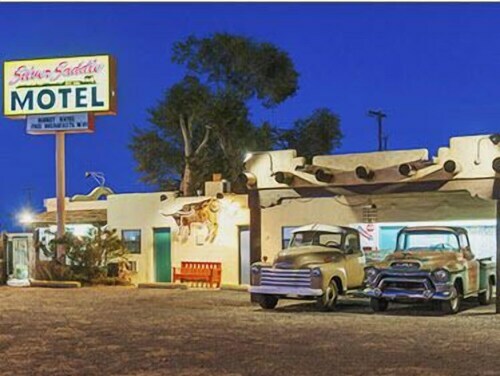 Situated in a rural location, this hotel is within 1 mi (2 km) of The Harrell House of Natural Oddities and Bug Museum and Santa Fe Plaza. Loretto Chapel is 1.4 mi (2.2 km) away. Santa Fe Depot is 28 minutes by foot. 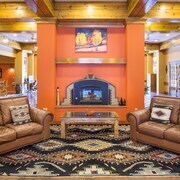 Conveniently near skiing facilities, this Santa Fe hotel is located in the city center within 3 mi (5 km) of College of Santa Fe, Railyard Arts District, and Santa Fe Railyard. Meow Wolf is 3 mi (4.9 km) away. 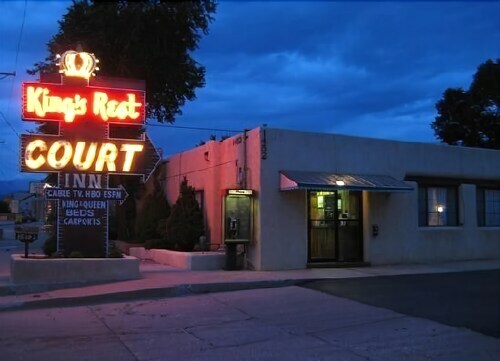 Located in Southside, this motel is 0.4 mi (0.6 km) from Liquid Light Glass and within 3 mi (5 km) of Santa Fe Plaza and Meow Wolf. Loretto Chapel is 2.1 mi (3.4 km) away. 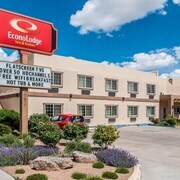 Located in Southside, this motel is within 1 mi (2 km) of College of Santa Fe and Meow Wolf. 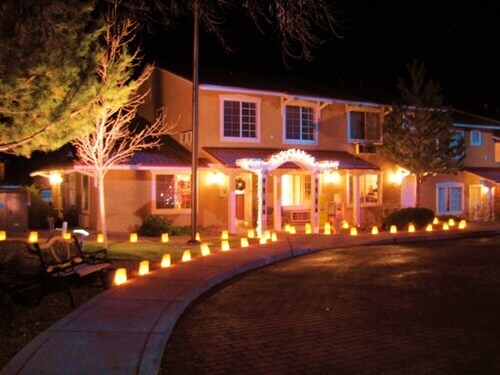 Liquid Light Glass and Santa Fe Symphony Orchestra and Chorus are also within 3 mi (5 km). Ancient elms and cottonwoods shade this resort set amid 6 acres (2.4 hectares) of casitas, courtyards, and fountains; Santa Fe Plaza and Canyon Road are 2 blocks away. Located in Downtown Santa Fe, this luxury inn is within a 10-minute walk of Santuario De Nuestra Senora de Guadalupe and Santa Fe Plaza. Loretto Chapel is 0.5 mi (0.8 km) away. Santa Fe Depot is 7 minutes by foot. On the edge of Downtown Santa Fe, this 3-Story boutique hotel in the Guadalupe Art District is near the historic Santa Fe Plaza, Georgia O'Keeffe Museum and the Convention Center. 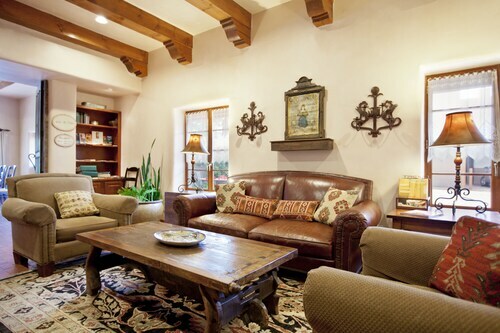 Located in downtown Santa Fe, this boutique hotel is 1 block from both Santa Fe Plaza and Palace of the Governors. Cathedral Basilica of Saint Francis of Assisi is a 5-minute walk from the hotel. 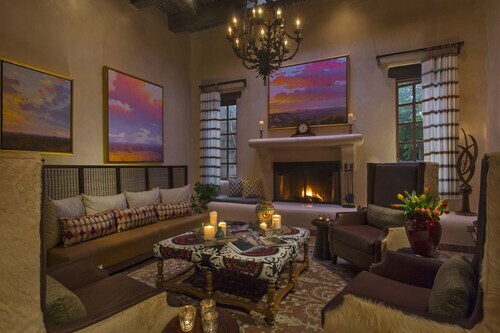 How Much is a Hotel Room in Santa Fe? Hotels in Santa Fe start at $50 per night. Prices and availability subject to change. Additional terms may apply. Santa Fe’s nickname is “The City Different” and for good reason. The capital of New Mexico has a look all its own; upon arrival, you’ll be transported to a time when the Spanish conquistadors ran wild across the American Southwest. 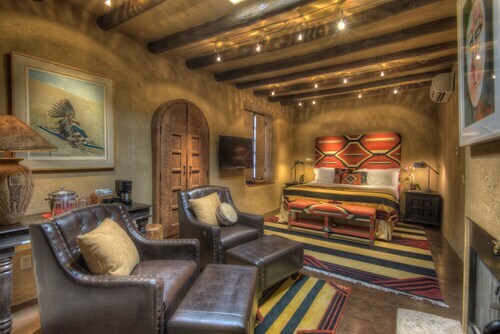 Grab your favorite turquoise belt buckle and book one of the Santa Fe hotel deals now. Start your Santa Fe holiday off with a Jeep tour of the area’s natural wonders, including the rock formations of Los Alamos Dome or the Devil’s Throne. 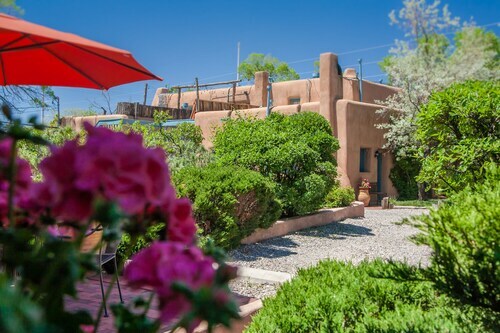 If you’re more interested in man-made beauty, some of the best hotels in Santa Fe are located near well-known attractions like the Canyon Road Art District. This historic street contains over 100 art galleries featuring the best in Native American and traditional Spanish-style art. Want some history? The hotels near the Los Alamos Historical Museum offer an inside look at the development of the nuclear bomb. Finish your day off at the Santa Fe Bandstand and listen to local underground bands plus nationally recognized acts while taking in a beautiful sunset. You can’t order food in Santa Fe without your server asking you, “Red or green?” The question refers to the two types of chili peppers popular in New Mexican cuisine, so choose wisely. The Plaza District and Railyard District serve dishes like enchiladas, chalupas, and chiles rellenos that are too good to pass up. Pair an authentic agave margarita with these rich meals to complete your exploration into local flavors. 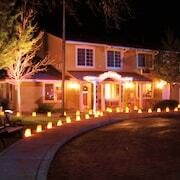 Many of the restaurants are casual and laid back, but several luxury hotels in Santa Fe offer lavish dining options. Are you ready to experience the American Southwest in a completely different way? 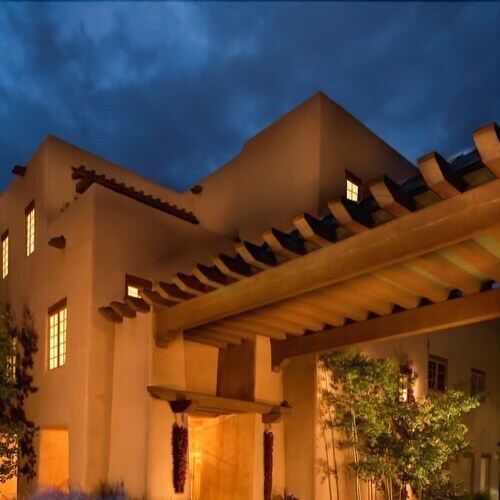 Travelocity will help you discover cheap hotels in Santa Fe, so every extra penny you save can be used in your trek through the streets of The City Different. Great Location, Very charming. Loved the Porch and the Lobby. The attached Bar is very good and convenient. The room was very well appointed and it was close to the plaza. Good Sushi Restaurant in the hotel! 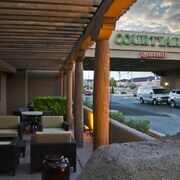 It has great rooms, good breakfast, and walkable to the plaza, and really nice owners. Loved the room and balcony. The hotel is gorgeous and great location. Loved the property. We attempted to check in 2 hours early because we had "early check in" through our Travelocity reservation but they said we had to return at 3 pm for check in which is the normal time for check in. That was a little disappointing but we were allowed to leave our vehicle and luggage on hotel property site so that was a relief.